Prior to joining Aerospace, Swallow was vice president, Business Development for the Federal and Defense Technologies Division, Northrop Grumman Information Systems. He was responsible for developing win strategies for the division’s captures and for all activities associated with the identification, qualification, shaping, and pursuit of new business opportunities with both current and prospective customers. Swallow has earned two bachelor’s degrees: one in physics and astronomy from the State University of New York–Oneonta, and a second in electrical engineering from Syracuse University. He has a master’s degree in systems management for the University of Southern California. He is a graduate of the Air Force Squadron Officer’s School and Air Command and Staff College, and the Defense Acquisition University’s Systems Acquisition Management for Flag Officers course. He has also completed certificate programs at the University of California, Berkeley; the University of Virginia’s Darden School; and the University Of Chicago Booth Graduate School Of Business. 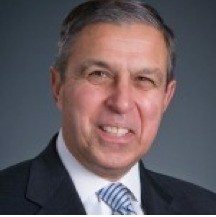 Harry D. Gatanas has more than 35 years of experience as a leader in DOD acquisition and procurement. As Executive Vice President of Serco Incorporated’s Defense and Intelligence Group, Gatanas was responsiblethe company’s business with the Department of Defense and the Intelligence Community. Prior to joining Serco, Gatanas served as the Executive Vice President, Strategic Programs, for SI International. Gatanas also served as President and CEO for MFN Global Services, L.L.C., a fiber-optic telecommunications provider for federal, state, local, and international clients specializing in global information grid solutions. Gatanas’ government service included duties as the Senior Acquisition Executive for the National Security Agency (NSA). He was directly responsible for NSA’s acquisition mission, which exceeded several billion dollars a year for software, hardware and communication requirements, to include the management of all procurement activities. Gatanas also served in the U.S. Army and is a retired General Officer with over 28 years of leadership, contracting and acquisition experience. He served as the Army’s Director for Contracting, as well as the Assistant Deputy for Weapons Systems, Office of the Assistant Secretary of the Army. He also served as the Commanding General, of the Army’s White Sands Missile Range, where he managed a diverse technical workforce of scientists and engineers at a remote test site for rocket and missiles. This position also included command of the Army’s Electronic Proving Ground at Fort Huachuca, with responsibility for radios and sensor testing. Gatanas studied at Harvard’s Center for Management Research, the U.S. Army War College, and earned a Master of Arts in Teaching, Wayne State University, and a Bachelor of Arts in History, City College of New York. Gatanas has numerous external affiliations, including recent service on the Board of Intelligence and National Security Alliance; Board of Advisors for the National Contract Management Association, and has been a presenter at AFCEA, AUSA, and various other conferences and symposia. Harry also served on several boards to include Serco Inc and ETI Engineering. Update: Accenture Federal successfully acquired Agilex Technologies Inc. in March 2015. 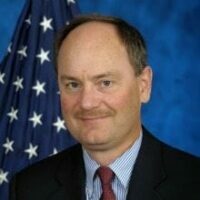 Mr. Baker was nominated by President Obama and confirmed by the Senate in May of 2009 as the Assistant Secretary for Information and Technology and Chief Information Officer (CIO) for the U.S. Department of Veterans Affairs (VA). During his tenure, he transformed the federal government’s second largest IT department into a customer-driven, quality-based and results-oriented organization. He improved project success rates dramatically with the introduction of the Program Management Accountability System (PMAS), which became the model for the federal government’s TechStat, PortfolioStat and IT Dashboard programs. He led the agency to embrace new and emerging technologies, such as mobile devices, cloud computing and agile software development, to improve mission effectiveness and better serve Veterans. He also restored the agency’s reputation as a trusted guardian of Veteran’s personally identifiable information (PII) and was a powerful advocate for standards-based systems and open source software within VA. He also served as CIO for the U.S. Department of Commerce from 1998 to 2001. He was recognized for modernizing the agency’s IT systems and processes and strengthening IT management to support the decennial census, introduce new e-commerce capabilities and reduce operating costs. He was also a leader in defining the federal CIO role following passage of the Clinger-Cohen Act. Mr. Baker has worked extensively in the private sector for a variety of successful technology companies. He served as President and CEO of Dataline LLC, an innovative, midsize technology company, immediately prior to his VA appointment. 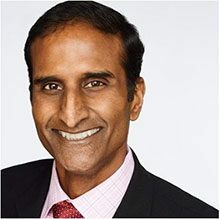 Previously, he served as CIO for General Dynamics Information Technology and as General Manager for the Telecommunications and Information Assurance business group at CACI International. 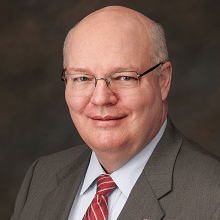 Earlier in his career, he served as Chief Operating Officer for BlueGill Technologies; Vice President of Engineering and Operations at VISA International; and as Vice President of Consulting and Services for Verdix Corporation. He earned his Bachelor of Science in Computer Science and Masters in Business Administration degrees from the University of Michigan. He has been honored by ACT-IAC with 2011 John J. Franke Award; was named the 2010 Civilian Agency Executive of the Year by Government Computer News; recognized by AFFIRM with its 2012 Executive Leadership in Information Resources Management – Civilian award; and is a three-time recipient of the Federal 100 Award. 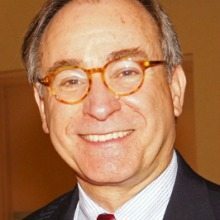 George Jameson is a consultant and lawyer whose firm, Jameson Consulting, provides consulting, counseling, and educational services for corporations, law firms, and governments, with a primary focus on national, international, and homeland security and on corporate governance and operations. 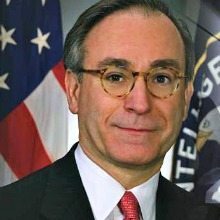 He also is Co-Founder and President of the Council on Intelligence Issues, a non-profit organization that educates the public about intelligence and national security issues, providing legal resources for intelligence officers who may need assistance, and he is an Adjunct Staff member at the RAND Corporation. His presentations and writings on intelligence and other national security matters have addressed intelligence and the law, the laws of counterterrorism, and proposals to address the problem of leaks and insider threats. George served over thirty-three years in the Central Intelligence Agency and the U.S. Intelligence Community, most of his career as an attorney and manager in CIA’s Office of General Counsel. He has managed legislative affairs at the CIA and the Office of the DNI, and he both established and managed the Director of the CIA’s policy and coordination office. His responsibilities have included advising on operations including covert action, counterterrorism, and counterintelligence operations, war crimes matters, foreign relationships, information and privacy, security, as well as matters relating to formulation and implementation of intelligence community policies and reform. He headed the CIA’s litigation unit and served briefly as a Special Assistant U.S. Attorney in the District of Columbia and as an Assistant White House Counsel. George is a member of the Steering Group for the Bar Association of DC’s Committee on National Security Law, Policy & Practice, and he advises the ABA’s Standing Committee on Law and National Security. A graduate of Harvard College and William & Mary Law School, he a member of the D.C. and Virginia bars.